The Subaru brand is beginning to make a name for itself and looks like the Tokyo automaker is passing the big three Japanese automakers in reliability. The 2014 Subaru Forester just keeps getting more love and has just been recognized by Consumer Reports as being the most reliable vehicle. But it’s more than love that makes a Subaru a Subaru. It’s about an automaker on the move who is building great automobiles. The big three Japanese automakers, Toyota, Honda and Nissan continue to produce the most reliable cars, but they have slipped this year because of reliability or safety issues. But the 2014 Subaru Forester stood head and shoulders above all the other cars and earned the best score of any car surveyed besting all the other brands. That says a lot about what Subaru is doing. According to the Consumer Reports survey, they predict the reliability of 2014 model year cars by gleaning information from more than 1.1 million subscribers. Lexus, Toyota and Acura were the top brands in automotive reliability, but that is just part of the story. The news isn’t all good for the Japanese automakers. Consumer Reports said it was dropping the Toyota Camry, RAV4, Prius V, Honda Accord V6 and Nissan Altima sedans from its "recommended" list because of reliability or safety issues. The report also lampooned the reliability of the new Scion FR-S sport coupe. That’s a big blow to the three Japanese automakers who in the past, have received the highest marks. Some of it is due to the cars receiving a poor grade on a new crash test designed by the Insurance Institute for Highway Safety (IIHS). The 2014 Subaru Forester received the top grade for the new IIHS safety test beating every other car on the planet. 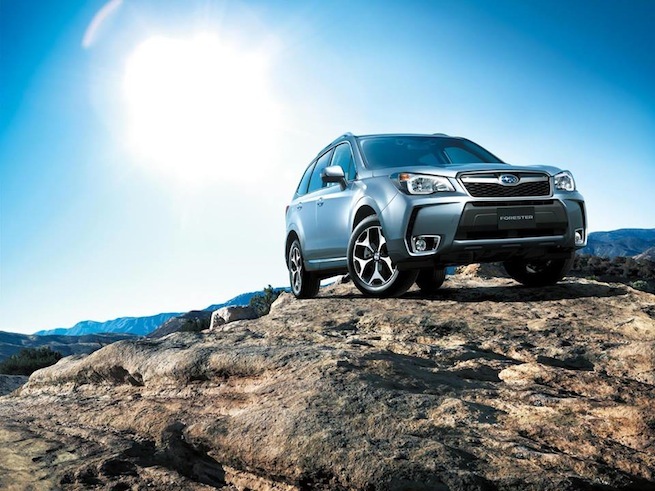 Forester scored the highest grade of six on the safety test while no other automaker made that high of grade. Who are the worst brands in terms of reliability? Because of glitches in their infotainment systems, Ford, Lincoln and Cadillac were among the worst car brands in terms of automotive reliability according to Consumer Reports. The survey measured reliability across the whole spectrum of the cars, including engine, transmission and all others, but the “theme” of this year's data was infotainment problems. What is Subaru doing to achieve all this success? Subaru is making cars that are a little more expensive than the competition and they are making them well. What seems like an overnight success has been coming from years of building good vehicles that meet a specific need for consumers. The all-new 2014 Subaru Forester is successful because Subaru re-designed it to be. They are engineering quality automobiles and staying true to their core values. The all-new 2014 Subaru Forester is receiving high praise for it’s safety systems and now more recognition because of its reliability. Those are two very good reasons for Subaru to celebrate. But don’t look for Subaru to throw a party, they are too busy upgrading their new “EyeSight” safety system and making it even better. They seem to be confusing and mixing things between Quality and Reliability. This article is ridiculous. Over the last 30 years, virtually nothing has changed in the reliability status of the Japanese car lineup. Toyota and Honda occupy the #1 spot... Nissan is second... Mazda and Subaru are third... and all the rest (Suzuki, Mitsubishi, etc.) are last. Subaru is not overtaking the top three; nor is it gaining ground on the top three. In my own research of Subaru, in year 2016, I found a plethora of problems, which recent Subaru buyers had reported (problems of the deal-breaker variety)... and after comparing these complaints to those complaints that I could find of Toyota, Honda, and Nissan... I could not bring myself to seriously consider buying a Subaru. I'm sure they're great cars, but they're eons away from being in the same reliability league as the aforementioned Top-Three Japanese auto-makers. Hogwash. I have owned Subaru for years and the reliability is impecable. What you say is absolutely not true in my case and I am satisfied with my car.